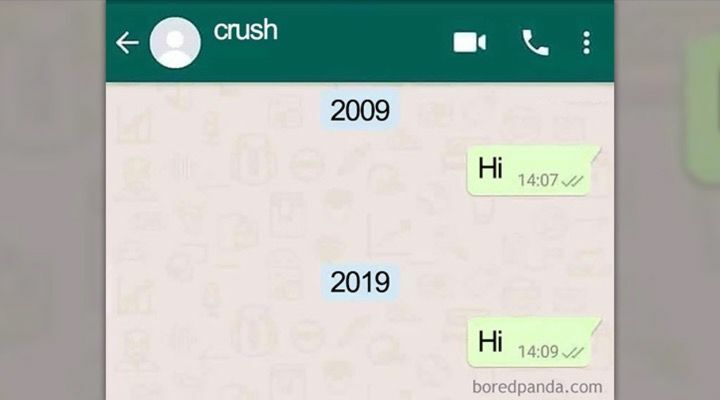 A lot can happen in 10 years. People change jobs and move to different cities, they break up and make up with significant others, and some even get married and have children. 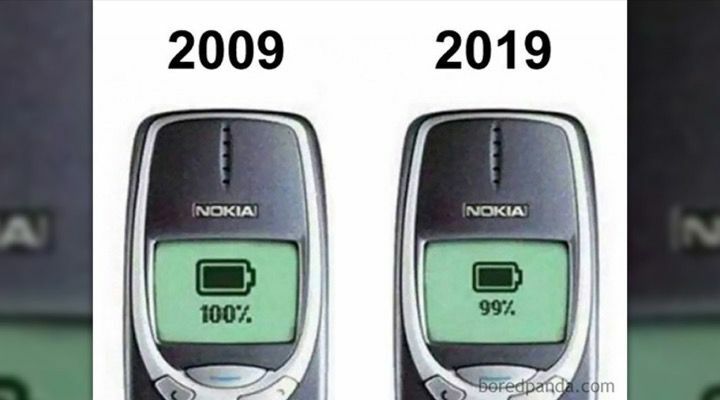 This may seem like a joke about how little Nokia cell phones have changed over the past decade but no joke, their battery life was the thing of legends. How come they can’t make batteries that last even a fraction as long these days? 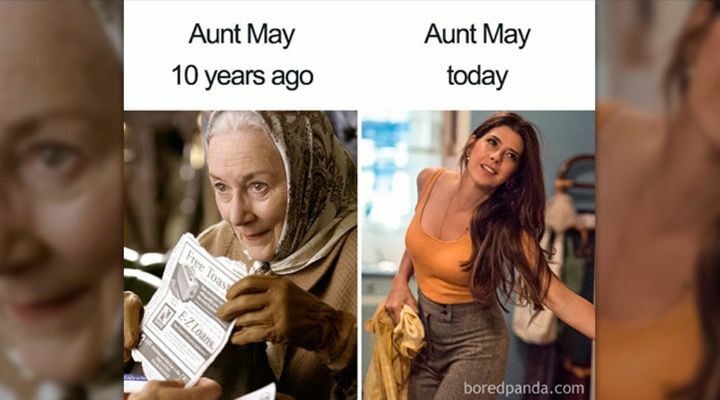 There are a few diehard fans that think that Peter Parker’s Aunt May can only be a caring, elderly old woman and that Marisa Tomei’s take on a younger, more vivacious May is a travesty. 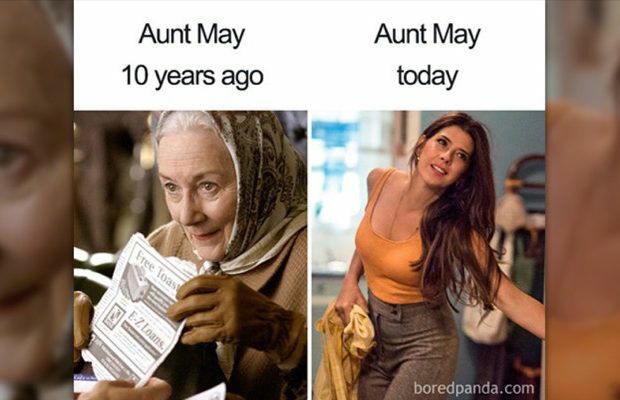 Either way, the past ten years have been really kind to May Parker. 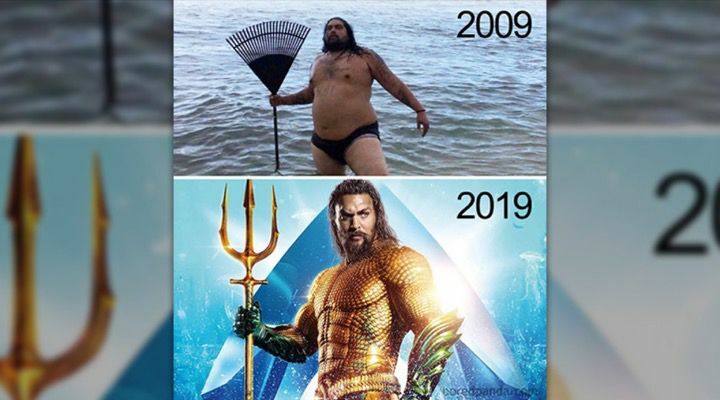 Aquaman too has been through some clearly transformative stuff over the past decade. Not only has he trimmed down, but he’s also had some significant wardrobe and equipment upgrades. Almost reminds one of the shifts in video game graphics over the past decade. 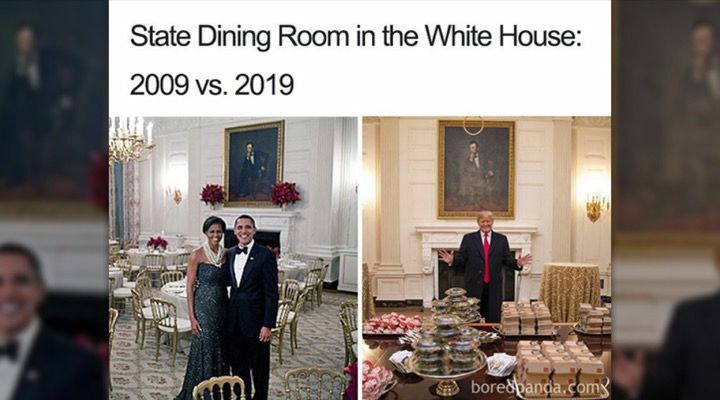 We went from formal elegance in a richly-appointed state dining room to…Ronald McDonald Trump. To be fair to the president, the selection for the fast food meal came from an altruistic desire to serve the team some of their favorite foods, but the juxtaposition is too good to pass up. 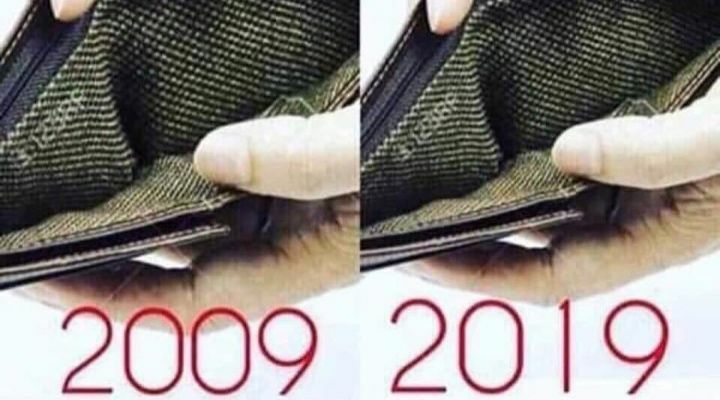 The main gist behind these ten-year challenge memes is that after ten years, you’re bound to look older. This doesn’t just include a few crows feet or gray hairs either, it also includes, your sight, hearing, and alcohol tolerance. 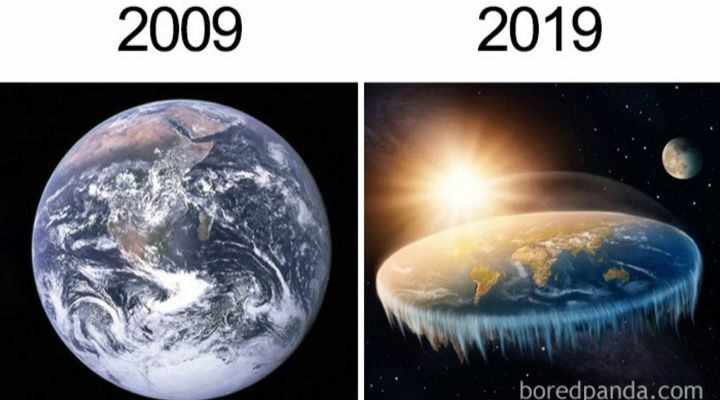 Strange as it may seem, some people actually believe that the earth has been flat this whole time, though the movement has grown significantly over the past decade. This is despite all the photographic and geographic evidence to the contrary. They thought we wouldn’t notice. They thought that they could just get away with cutting out whole chunks of our candy and hide it in the same shaped box. They were wrong. 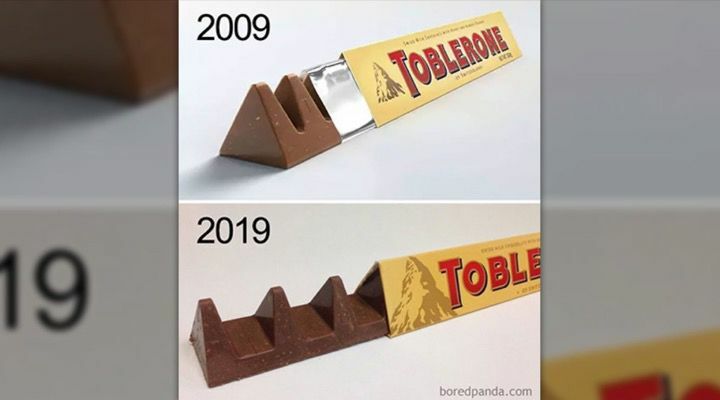 We know, and we want our Toblerones back the way they were. This is a pretty clever meme but it hits a bit too close to the reality for comfort. 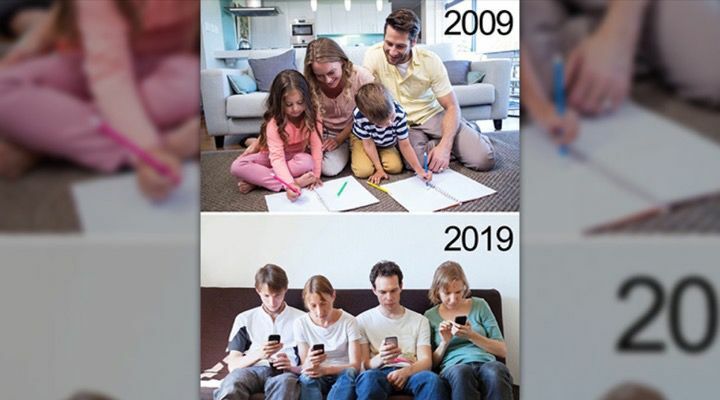 It also goes to show that it’s not just our kids who have become technology zombies, we’re just as guilty and addicted as they are. 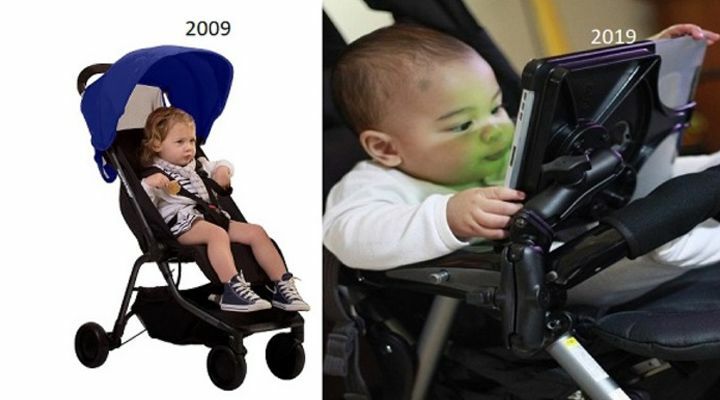 More to the point is this additional meme showing a baby in a stroller, taking in the world and another in the same stroller, plugged into a tablet. The digital age we live in is an amazing thing, but we should still allow kids to experience the real world before they experience the virtual one. 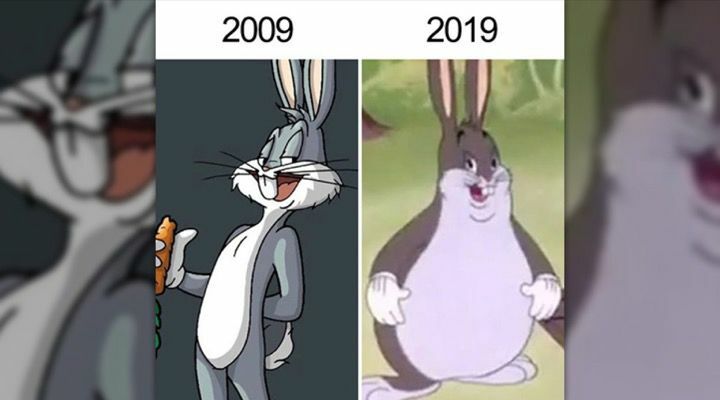 Ten years is a lot of time, especially for someone like Bugs Bunny, a cartoon rabbit who’s career hasn’t exactly been as noteworthy as it used to be. Guess he just decided to sit home and munch on carrots while he waits for the next Space Jam to come out. 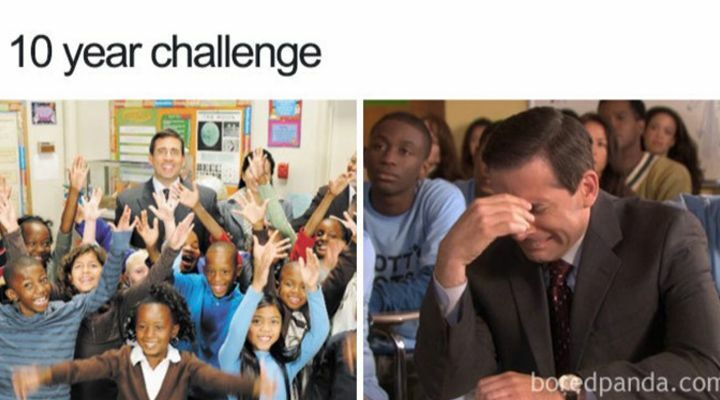 The Office had some pretty funny jokes throughout, but one of the most cringeworthy involved a pre-show Michael Scott promising to pay for an entire elementary school class’ worth of college education. He eventually had to face them and renege on the promise, only after the then seniors had thanked him with a song and dance number. 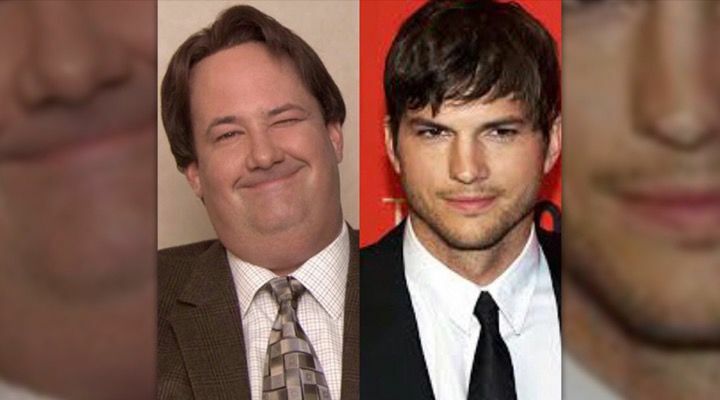 Another Office meme involves character actor Brian Baumgartner’s role as sometimes dim-witted accountant Kevin Malone. 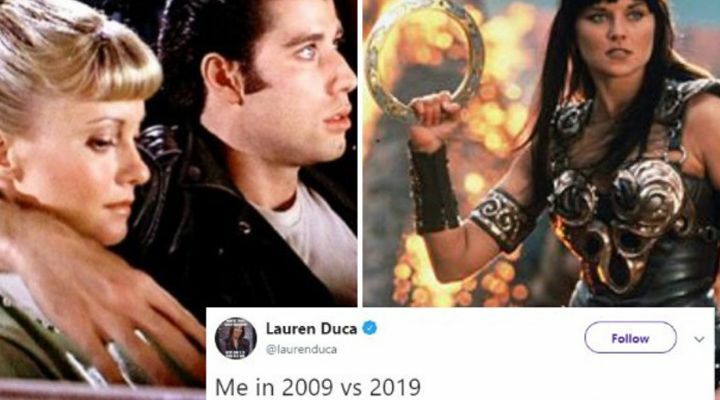 He himself posted this tweet in response to the 10-year challenge by referencing an Ashton Kutcher joke his bewigged character made in the series itself. 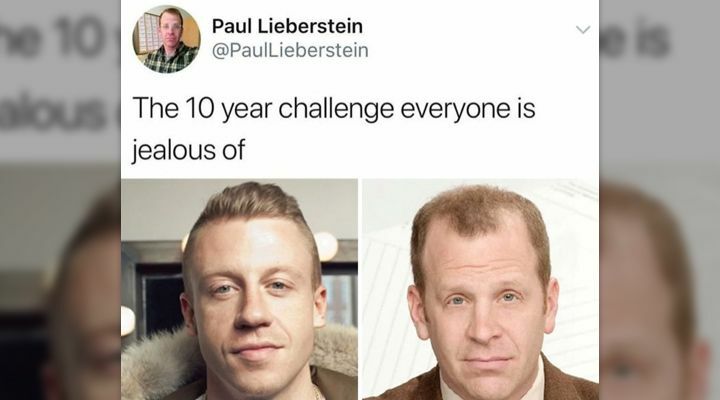 The final Office-themed response to the 10-year challenge involves two very similar-looking redheads; famous rapper Macklemore and hated head of human resources, Toby Flenderson. This meme was actually also Toby’s actor, Paul Lieberstein. As social media became the purview of sites like Twitter, Facebook, and Instagram, MySpace, the progenitor of those sites, faded into inequity. With MySpace went Tom, everyone’s first friend. Chances are good he’s doing fine, albeit looking a bit worse for wear. But who isn’t, amirite? This one seemed like a real no-brainer given the rate of change over the past decade. Nevertheless, it’s really odd seeing the truth of the matter unfold in living color. It would almost be hilarious if it didn’t affect everyone’s daily lives. 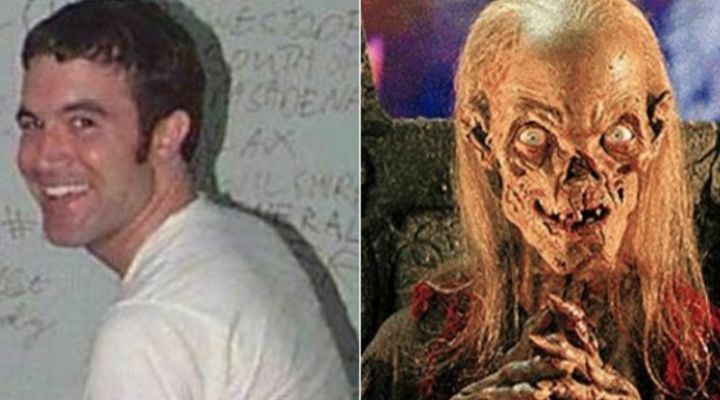 This guy was really clever about his 10-year challenge photo. 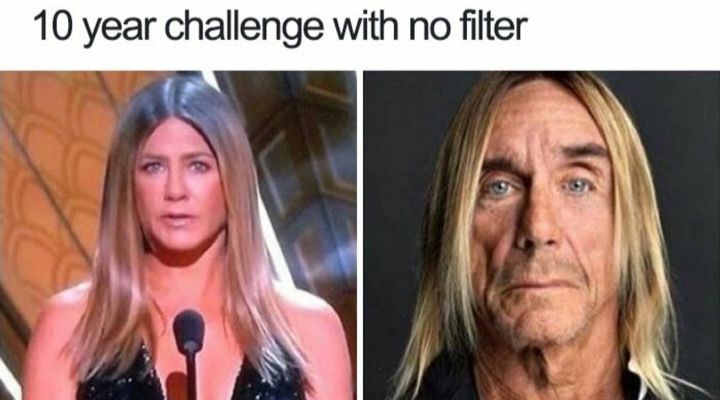 He took the challenge all right, but he left out certain…aurally-relevant features that it seemed the Internet is dying to get the skinny on. You can fool some people, but you can’t fool the trolls. It rarely matters what stage of life you’re going through in any given decade. No matter what it’s bound to change you. 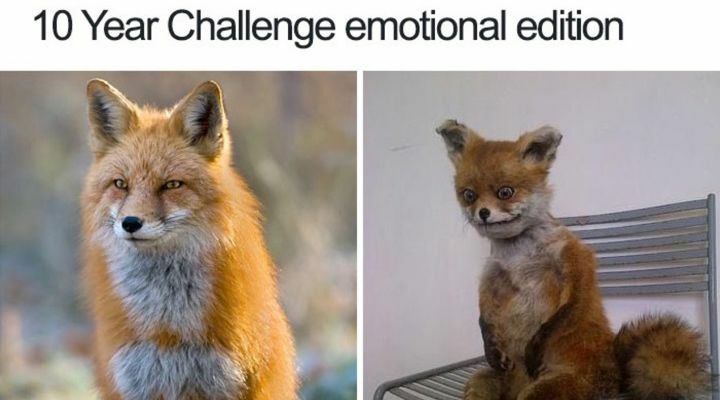 Indeed, many of us can relate to this very frazzled looking fox and the obvious emotional toll that 10 years can take on a person…er fox. 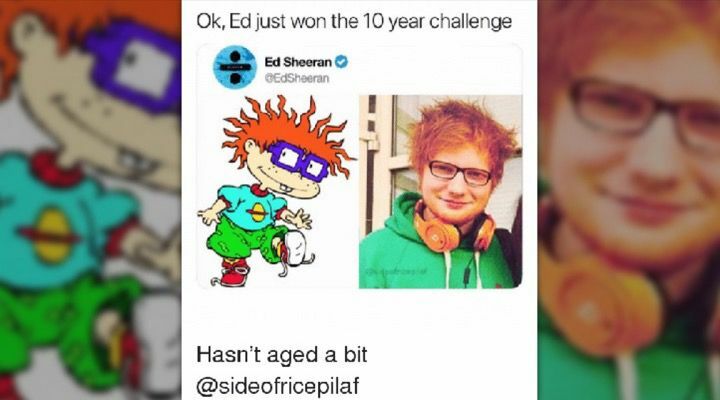 Ed Sheeran himself posted this response to the 10-year challenge. The resemblance is so uncanny it makes one wonder if Ed spent much of his formative years chasing after a braver friend as he escaped from the confines of his parent’s backyard. Many of us can certainly relate to this particular struggle. It doesn’t matter if you were in college ten years ago, just out of college, freshly married, unemployed, or starting a family; a decade later and you’re likely still in the same financial place you were back then. Unless you’re very lucky. 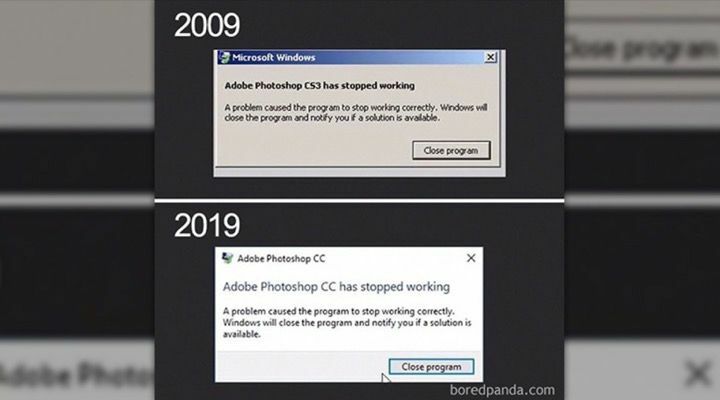 This is one of the not so funny memes out there that have arisen as a result of the 10-year challenge. 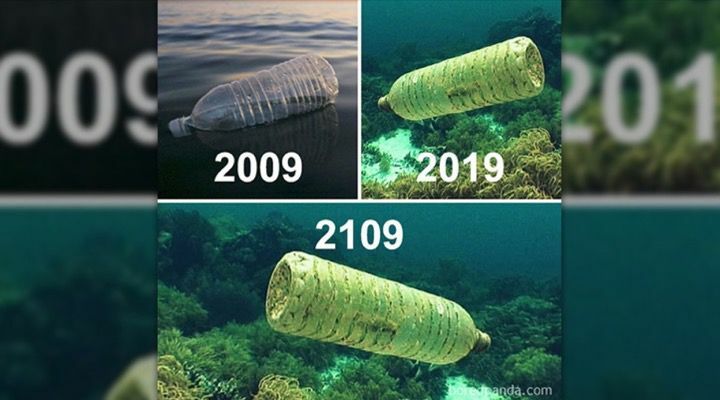 The environmentally conscious have been fairly adamant that the only thing we should be paying attention to is how much the natural world has deteriorated in a decade. Like many on this list, this one is sort of implied, but boy does that fried chicken look good. 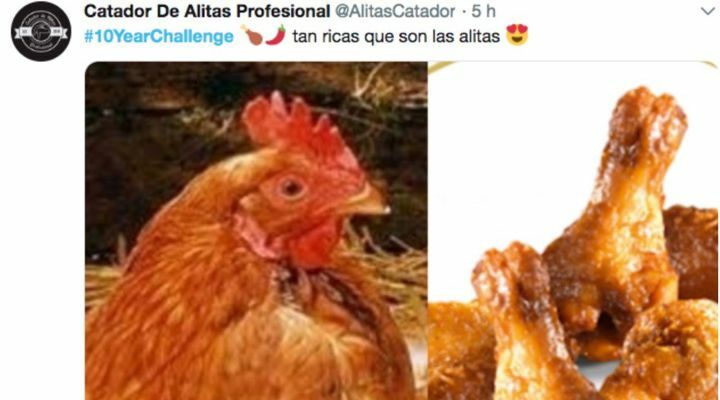 Just try not to think of the hundreds of thousands of chickens who have met the same fate over the past 10 years. Squidward looks almost as bad as the frazzled fox ten years hence. 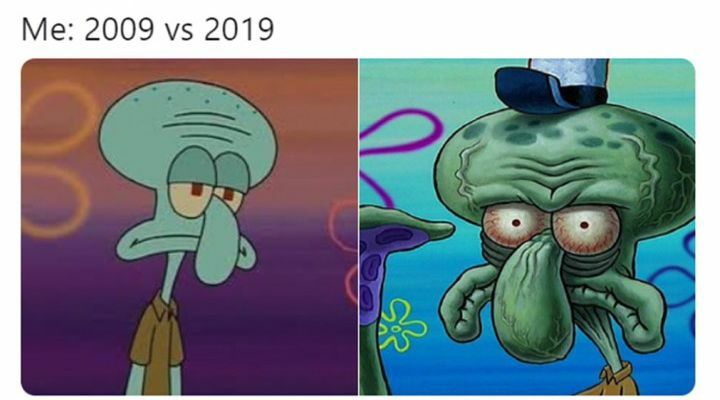 Given that Spongebob Squarepants has been his neighbor for more than two decades, one can hardly help but feel a little bit of sympathy for old crusty Squidward. Of all the Star Wars 10-year challenges out there, this one seems the most poignant. 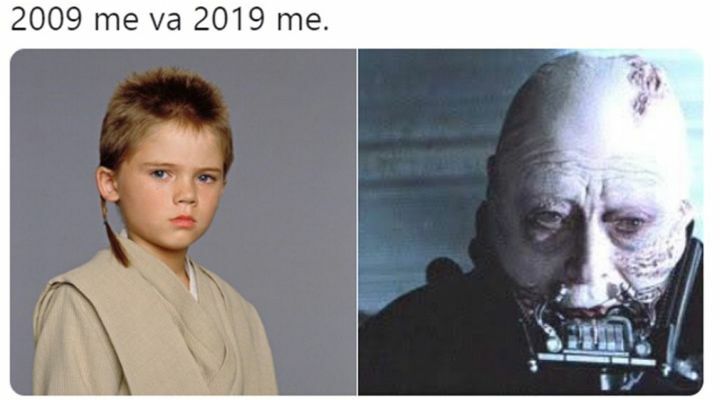 He went from a talented, innocent little boy, to the cyborg vice president of an evil galactic empire. Still, it could be worse, you could be living in this, the Darkest Timeline. 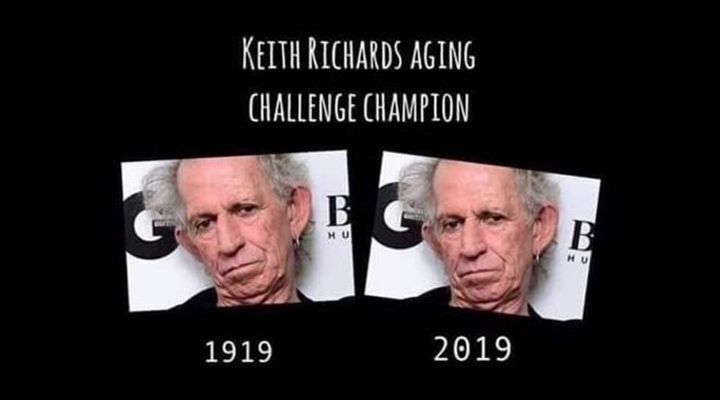 There was a rumor a few years ago about how Keith Richards gets all of his blood pumped out and cleaned every year in order to cleanse it of any drugs or toxins that might be lingering. 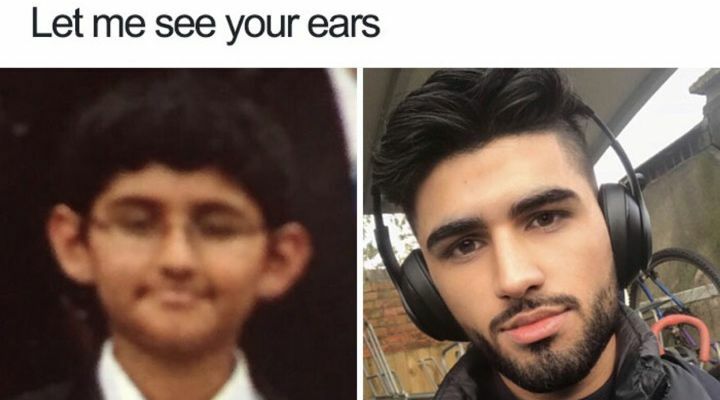 Judging by the look of this meme and the man today, it might be safe to say the treatment works. 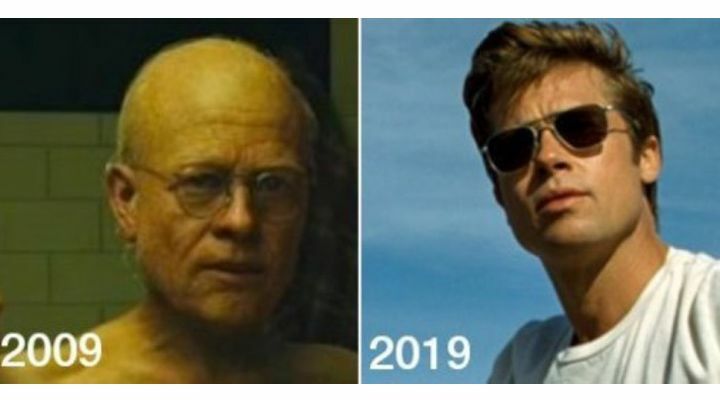 Literary and movie character Benjamin Button ages backward. Meaning, he was born an old man and slowly becomes younger as he ages. 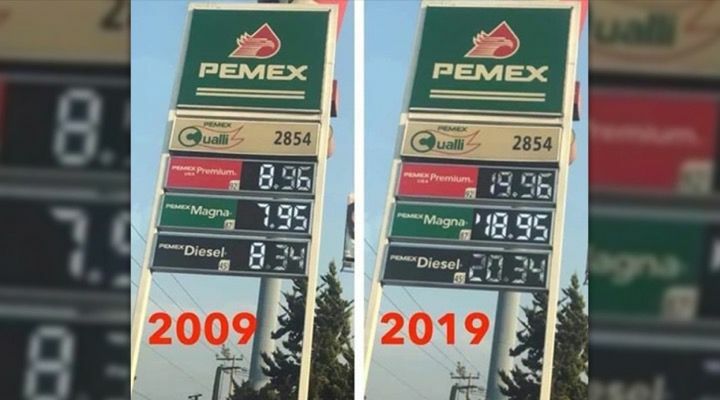 This 10-year challenge is the perfect way to show this to anyone clever enough to get a very specific joke. There’s a whole lot of infrastructure all over the world, bridges, highways, and the like, which started needing repair work a decade ago. 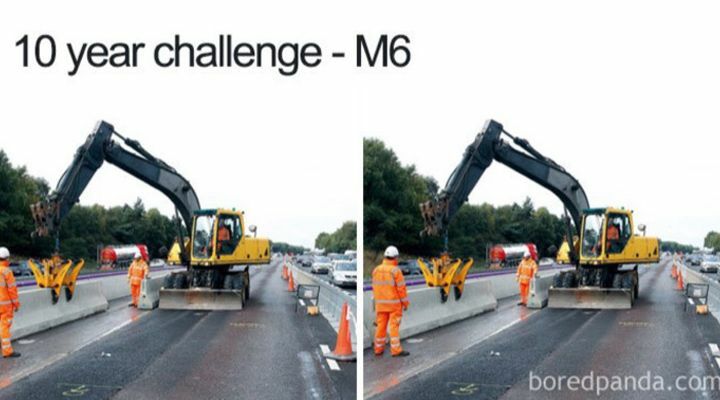 Ten years later and those highways, parkways, and bridges are still undergoing seemingly endless amounts of construction work. As evidenced by this meme. 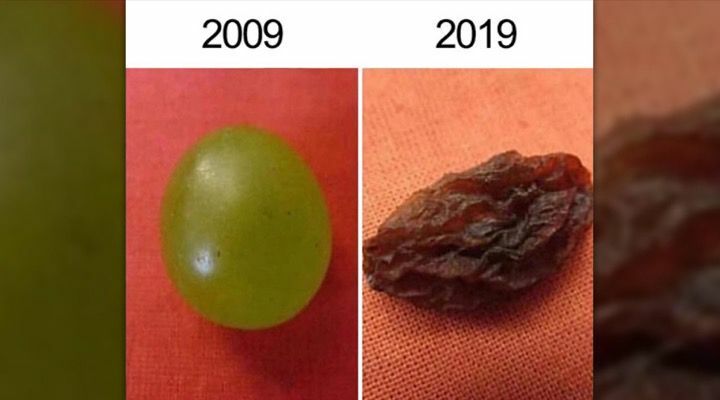 This person’s response to the 10-year challenge is two-pronged. 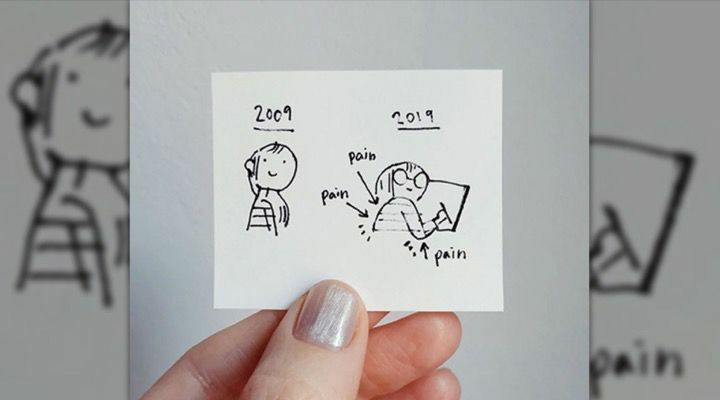 Not only have they put on a few pounds, like many of us most likely, they also seem to be experiencing back, neck, and arm pain 10 years down the line. 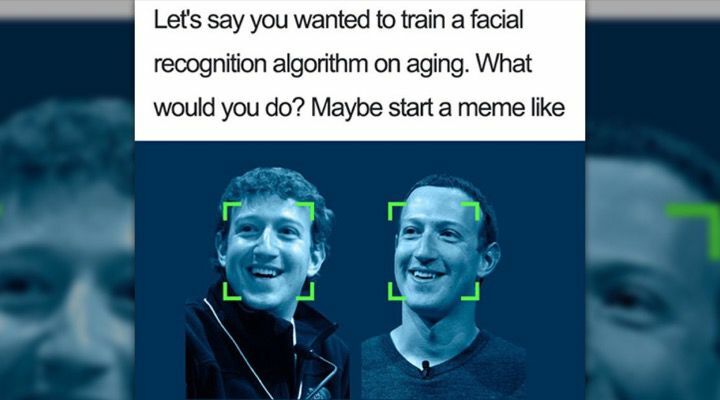 More to the point of jokes about the way we age. Sure, some of us are gonna wrinkle a bit in a decade, but not everyone is likely to dry up like a prune. That said, more than a few avid beach-goers may look exactly this way after 10 years. This funny little comparison shows what actor Michael Cera might have looked like if he were a famous and eerily similar painting from a bygone age. 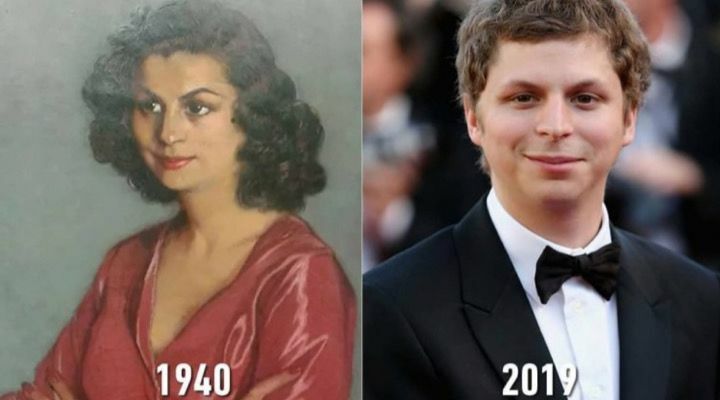 We may not know where the painting came from, but it definitely makes one think twice about Cera being a time traveler. This is less a funny meme and more a remarkable one. 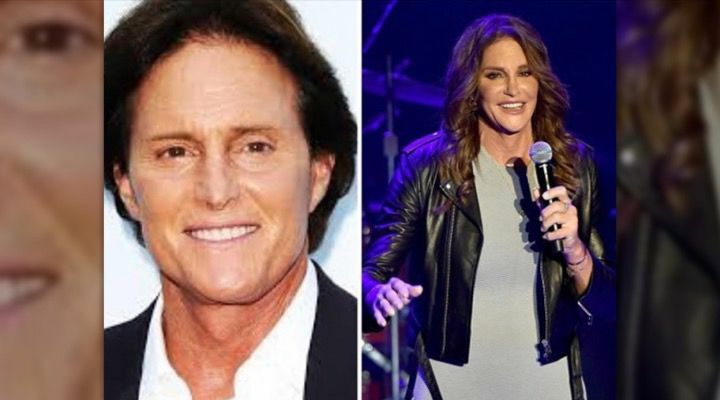 Few people have changed as much over the past decade as Caitlyn (formerly Bruce) Jenner. Despite all the negativity from folks all over the Internet, Caitlyn is living her best life and that should definitely be celebrated. This poor person seems to be struggling with their love life. Although, if they’re anything like some of the folks we know, they seem to be beating their head against a wall that is not about to crumble anytime soon. This is yet another tongue-in-cheek joke about the state of the world today. 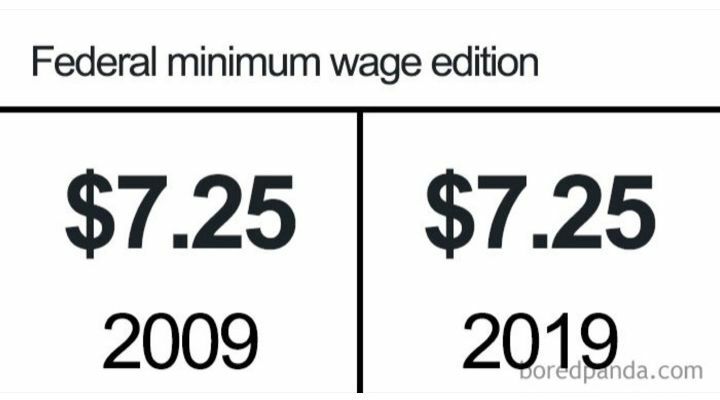 Prices have indeed gone up, the dollar isn’t worth what it was a decade ago, but many are still making the same amount an hour on minimum wage and trying to afford a life. Clever as it is, it means something has to change. Adobe Photoshop, ten years later and it’s still coming up with the same types of errors. The only difference between Photoshop a decade ago and Photoshop today is the fact that graphics look way better now than they ever did. They probably used Photoshop to fix them, until it crashed. 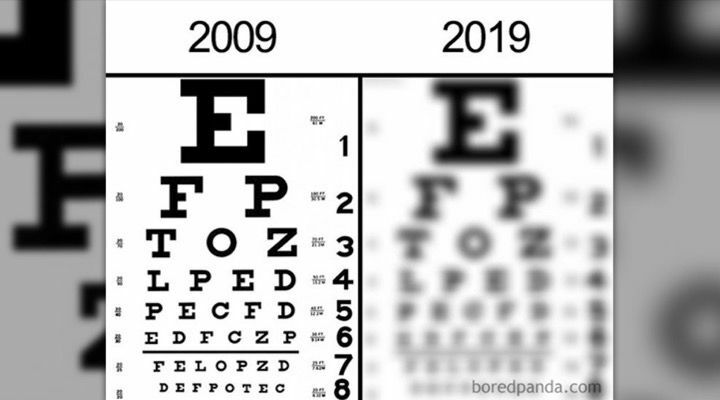 Last but not least may be the reason for all these 10-year challenge memes in the first place. Considering their track record, people are understandably nervous about Facebook’s intentions but it’s pretty clear that if this is an evil scheme, it’s a pretty feeble one.